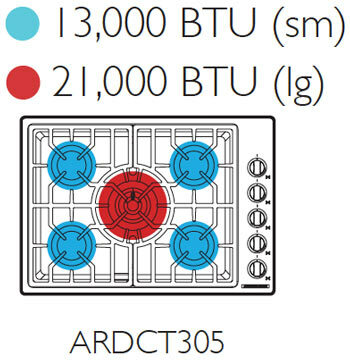 ARDCT-305 features 5 sealed burners. Including one 21k BTU burner with simmer, and four 13k BTU burners. The American Range Vitesse Series Cooktop is designed to fit your kitchen countertop with style, power and the versatility of a professional range we are known for. 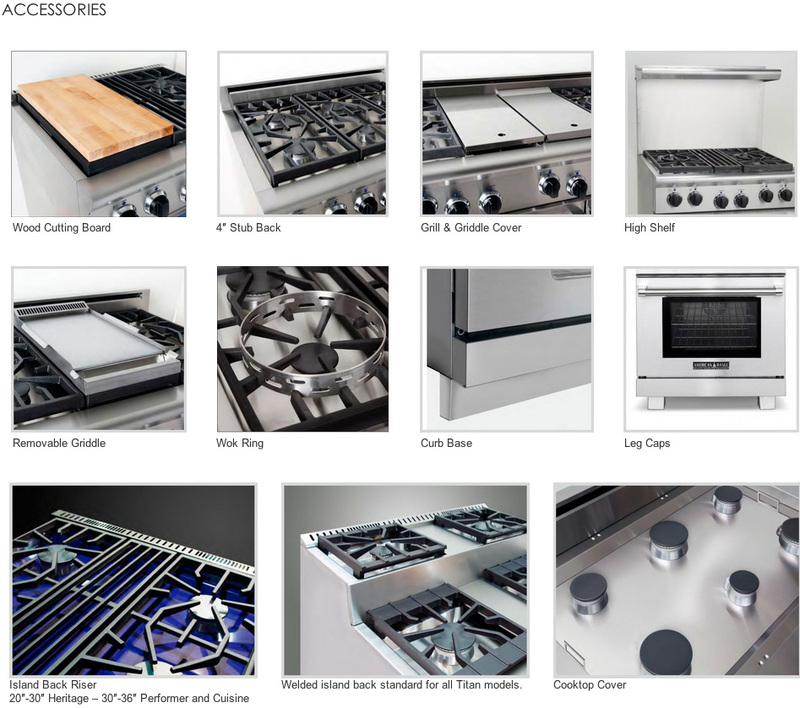 We bring our expertise and decades of experience from manufacturing custom commercial cooking equipment into this stylish yet powerful industry leading drop-in cooktop. Not only is it powerful, it also has amazing simmer capabilities. 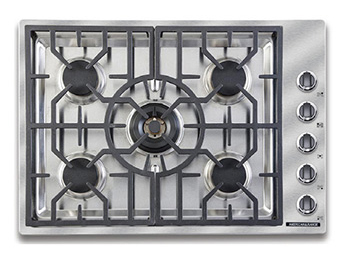 With sealed burners and a bead blasted, stainless steel burner area, you wind up with a cooktop that is also easy to keep clean. Available in natural gas or lp propane fuel type.